Saving money, time, and space has certainly become the center of attention over these past few years. 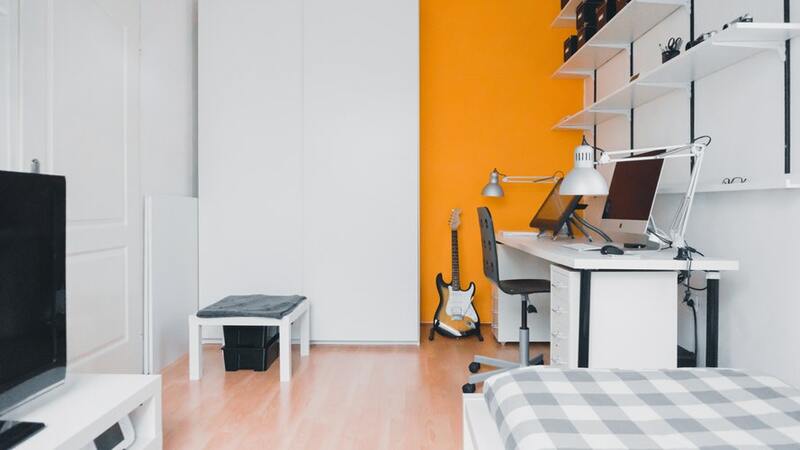 Many first-time college students, graduates, and professionals move into small living spaces to save as much as they can. But, just because you may have moved into a smaller space, doesn’t mean that you have to think small. So, whether you’re hoping to save some room or add some eye-catching decor, we’ve got you covered. We at 25 East have gathered some sweet Life Hacks for Apartment Living you don’t want to miss. Let’s start off with the basics for apartment living. Although you might have limited space at your residence, you’ll want to save as much space as you can. 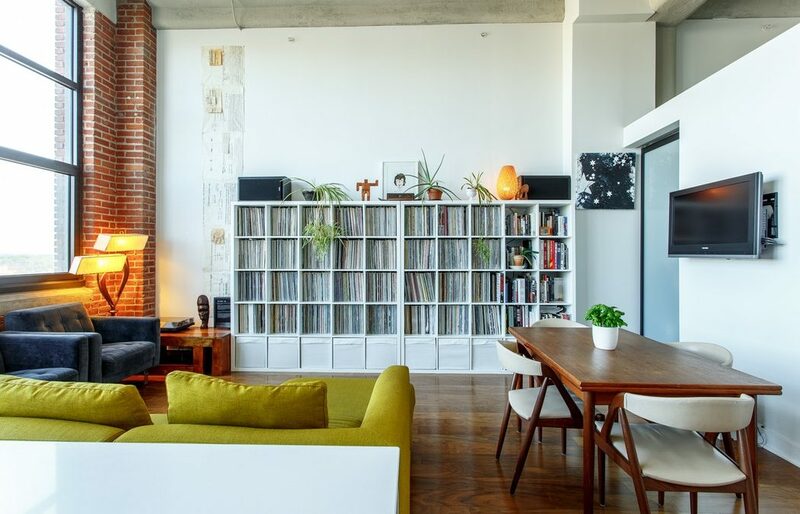 You can start off by moving your furniture into a certain section. Finding the right setup for your furniture can take some time, but feel free to experiment and find what works best for you. Most of us are used to having a large coffee table around, but the truth of the matter is they take up space. There are plenty of thrift stores that occasionally carry small tables that can be used as a cup holder, plant stand, and anything else you can think of. Stop using counters and book stands to put up valuable portraits. Try hanging your pictures on the wall using thumbtacks instead. If you’re afraid to lose your deposit, you can also go to the nearest hardware store and buy some wall hangers that won’t deal any damage. Whether you’re living on your own or have a roommate, many apartment owners forget about the extra space in their cabinets. Although it might not be the ideal solution, empty cabinets can help you store small items that always get in your way. Do yourself a favor and keep those items out of sight. Who uses calendars and planners anymore? They take up too much space and paper in today’s modern era. Try tossing those away and start setting automatic reminders on your phone or computer. You can start saying goodbye to looking past the calendar and having modern technology remind you about important dates. Whether your apartment came with a laundry room or not, creating the perfect utility closet is a must. Now, it might be a bit easier for those with a laundry room because of the extra space, but no worries, everything will work out. Organizing your utility closet will help you remember where your cleaning products are, and help you tackle dirty messes in an instant. Adding a hanging rack to the back of your utility closet door can help you hang brooms, mops, dust pans, and other cleaning essentials. Containers and drawer organizers can help you store extra toilet paper, kitchen towels, cloths, soap, sponges, and other small cleaning utensils. Make sure to leave enough space for your vacuum cleaner and ironing board. Have you ever noticed how much better apartments with different mirrors look? Adding mirrors to your living space is a life hack that can also help make any room look more spacious. Give your apartment a little more life by adding some small plants. Not only will it help give your living space a nice look, it’ll also help provide you with cleaner and fresher air. Just make sure to water them often and don’t leave them under direct sunlight! One of the best ways to make your apartment look more appealing is by having matching colors and decorations. Of course, we don’t expect you to buy a full set of furniture for your first apartment, but we do encourage you to try sticking to three or four light complimenting colors. It’ll help distract your visitors from any flaws in your living space. You can also add a dark color into your apartment, but we recommend to limit your strong colors. You can end up with an eyesore if you overdo it and add too many bold colors. Most of the time smoother colors make stronger statements. There’s such thing as having too many items in one spot. Even a decorative bookshelf can have too many books. Trust us, you don’t want your place looking like a library. Overstuffing can get messy and will end up costing you time next time you do some spring cleaning. Instead, try a simplistic approach and limit the number of items you store within a certain area. You’ll be able to free up plenty of space this way and direct less attention to your storage space. Everyone runs into the same problem of accumulating clutter. Apartments tend to show more clutter because there aren’t many places for it to hide from the human eye. That’s why you should cleanse your living space a couple of times a year by getting rid of useless possessions. Just take the time to pick out which items are worth keeping and which are worth giving away. You’d be surprised at how many things you can grow out of in a year. It’ll also give you more space for new decor. 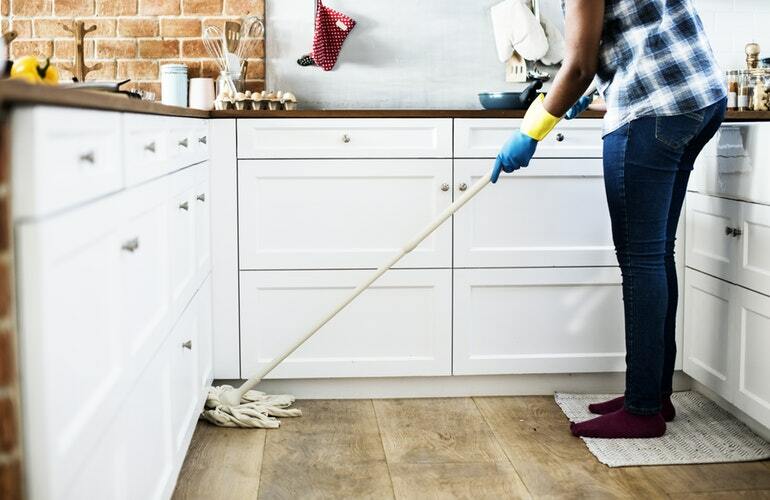 Little did you know, vinegar and baking soda have powerful cleaning properties that work better than most cleaning products. In fact, it’s way safer than using traditional bleach and other strong chemicals, which can affect your health over time. You can mix vinegar and baking soda and use them to clean your sinks, toilet, bathtubs, and other parts of your apartment. The best part is that they don’t stain a thing and can leave your apartment looking better than new. Of course, we’re not telling you to throw out your dish soap and other chemicals. Make sure to keep them for backup. Check out these neat cleaning solutions you can create with just vinegar and baking soda. Aluminum wrap can come in handy when cleaning time comes around. The metal properties in aluminum can help you get rid of the rust stains in your kitchen, bathroom, and other areas. All you have to do is ball up some aluminum foil, add some water or vinegar, and gently scrub out the rust. Bored at home? Check out these Fun Things to Do in East Lansing, MI. Every MSU student deserves a break. Check out what the Nightlife in East Lansing, MI has to offer.